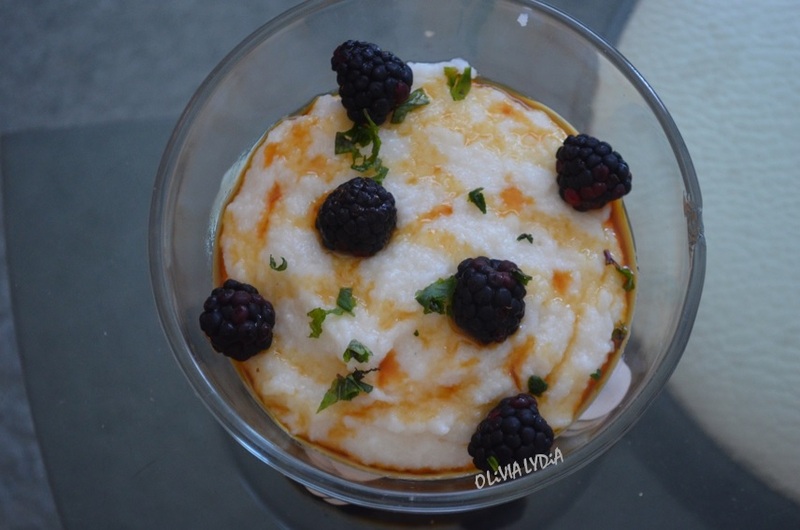 Blackberry Cream of Rice – Olive For Greens. This is a simple go-to breakfast or snack idea. 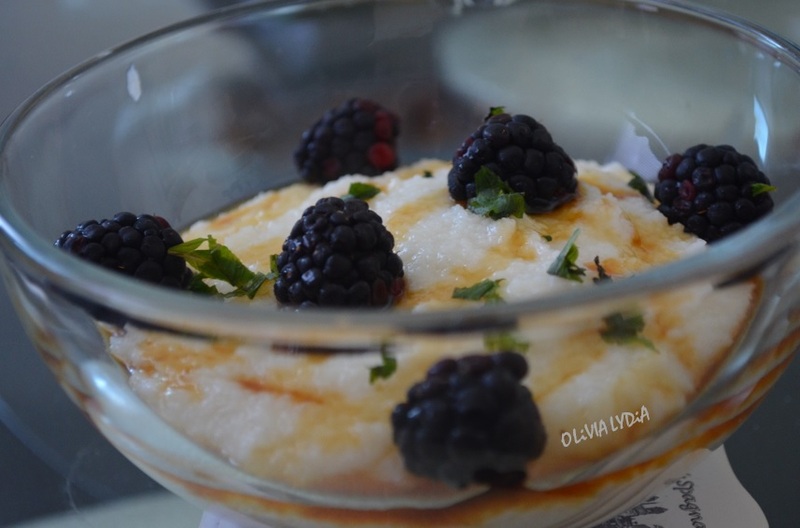 Blackberry Cream of Rice was inspired from my love of cream of wheat. I grew up eating cream of wheat and never even heard about cream of rice. The difference? Cream of rice is gluten-free! This simple 6 ingredient recipe will fill you up. I usually have this after my green smoothie as a snack. Enjoy! Add the water and almond milk to a small pot. Bring to a boil then add the cream of rice. At this point, cook according to package instructions. Once cooked, place in a bowl. Top with coconut nectar, mint and berries!